For preliminary voter guides, click here. 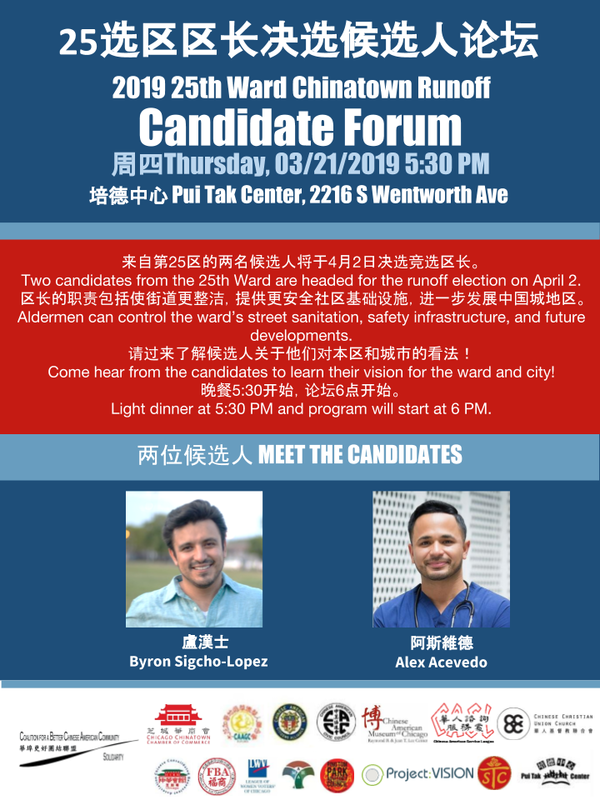 Click here to download a presentation on Feb 26 voter turnout for the city and the 25th ward (Chinatown core). Election day occurs on Tuesday, April 2, and polls are open from 6am till 7pm. You can register as a voter on election day if you bring 2 forms of ID. In Chicago, bilingual ballots are available in Chinese, Hindi, and Spanish. Bilingual election judges will be present at select precincts to assist limited English proficient speakers.